Benjamin Pachev is 18 years old. He is a talented runner, but also a little different … He runs in Crocs. For anyone who might not know what those are, Crocs are a flimsy brand of shoe made of a waterproof, foam substance and were made originally for boating, swimming, or going to the beach. They are a bit similar to flip flops in that you can slip them on and off easily, but they have more coverage. Crocs have holes in the top to provide ventilation. They were never designed with running in mind. However, that doesn’t seem to bother Benjamin. 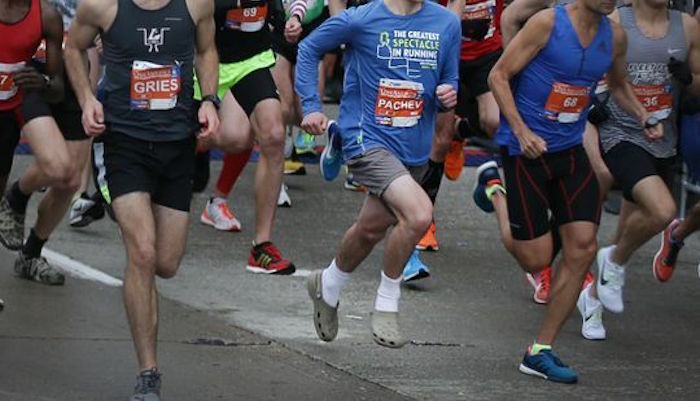 People.com wrote about Benjamin Pachev’s amazing accomplishment of running half-marathon in just 71.53 minutes wearing Crocs. There were literally thousands of runners participating, and Benjamin took 16th place. His 42-year-old father, Sasha, finish only a few minutes behind him at 76.07 minutes. He was also wearing crocs. In fact, Benjamin’s entire family runs in Crocs. Because their family is a little bigger—Benjamin has eight siblings—the family has tried to find ways to save money. Fancy running shoes can be expensive. According to People.com, the Pachev family first discovered the effectiveness of Crocs when the kids showed up to a family run wearing them. Sasha, their father, did not think that they would be good running shoes, but the children insisted, and so he let them run in Crocs. During their run, Sasha was surprised to see that his kids seemed to have much better form while wearing the Crocs and that they were just as fast as they were when they wore other shoes. That was when he decided to try running in Crocs himself. He loved it. The entire family has been running in Crocs ever since. Crocs have helped them out financially as well because Crocs are only about $20, as opposed to Nikes or other expensive footwear that can cost three to ten times as much. Sasha shared with People.com, “You shouldn’t have to pay $70 for a pair of shoes. It’s got to be simpler than that. Running is so natural, you shouldn’t need something so expensive to run in.” It’s easy to follow Sasha’s logic, but his point is even more powerful when we think about how well the family has done wearing Crocs. 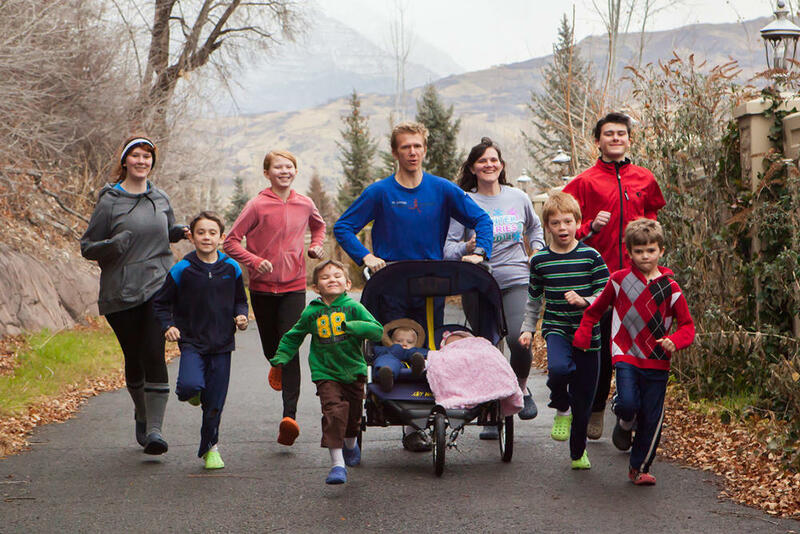 Benjamin and his family have become famous for their Crocs and have been featured on many sports and news websites, including Sports Illustrated, Runner’s World, IndyStar, SBNation, and others. According to LDSLiving, Benjamin will be leaving to serve a two-year Mormon mission, soon, but he plans to continue running when he gets back, as well as outrun all of his future missionary companions every morning when they go out to exercise. One of his goals is to match Olympic athletes’ marathon times while running in Crocs.